An Upper West Side landmark, The Excelsior Hotel overlooks Central Park and is right by the 81 St subway and the American Museum of Natural History. The hotel offers complimentary wi-fi in its lobby, breakfast and boardrooms, and has a fitness room and also a contemporary Latin fusion restaurant, Calle Ocho. Each room is furnished in a classic style, reflecting the hotel’s Art Deco heritage, and has a flat-screen TV with movie channels, iPod dock, safe and air conditioning. At Fairfield Inn & Suites New York Manhattan / Central Park, enjoy a satisfying meal at the restaurant. Wrap up your day with a drink at the bar/lounge. A complimentary buffet breakfast is served daily. 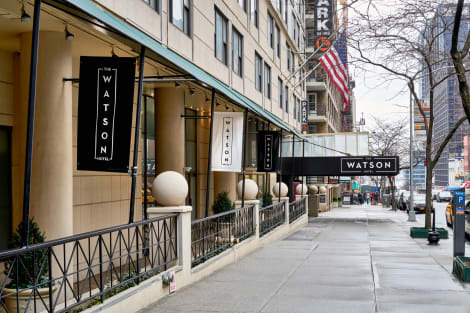 The Watson Hotel is a modern 4-star hotel just 3 blocks from Central Park and Columbus Circle. Its facilities include breakfast and valet parking (for an added fee), a fitness centre, and a rooftop pool. 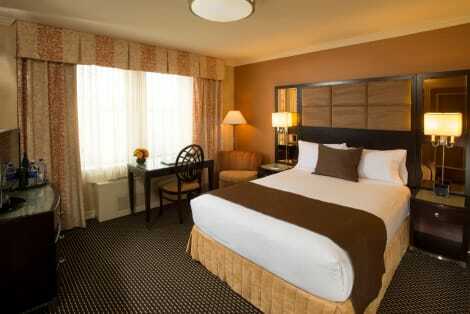 The stylish rooms feature free wifi, flat-screen TVs, and coffee-makers. With a stay at Salisbury Hotel, you'll be centrally located in New York, steps from Carnegie Hall and 4 minutes by foot from Central Park. This hotel is 0.2 mi (0.4 km) from 5th Avenue and 0.4 mi (0.6 km) from Museum of Modern Art.